The valiant Jamshedpur FC managed to buckle up and put Mumbai City FC fans to silence as they scored once in each half to defeat the 'Mumbaikars' at home. In what seemed to be an effortless victory, Jamshedpur scored through Mario Arques in the 28th minute while Pablo Morgado put the game to rest in the injury time. The last year's debutants, who finished 5th narrowly missing the playoffs, put up a balanced performance to gain 3 points. And with the help of their new coach, have set their goals high with the win. Let us now look at the five talking points from the game. The captain did all things right from the start. The defender blocked Tiri’s attack at the far post as he directed the header towards the goal, but Goian managed to hit it wide to save his team from a second goal. 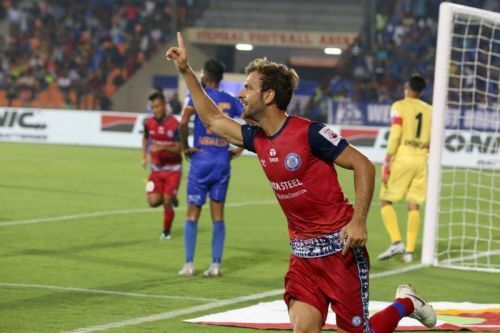 Goian’s experience counted as he blocked more moves from Jamshedpur FC going hard on Mumbai. Another brilliant tackle from Lucian on Jerry proved worthwhile as he won the ball from what could’ve been a possible goal. Not only in the defence but even in attack, Goian missed a couple of chances to get his side on level terms. In a valiant effort, Sanju Pradhan sent a ball to Goian but he lost the balance as the strike hit the side netting. Struck by a goal in the 28th minute, Mumbai tried their level best to put up a performance to keep the Jamshedpur FC defence lines on their toes and even managed to score twice through, however, the goals were rightfully judged offside. The shrewd Jamshedpur FC defence held on their 1-goal advantage and the side still managed to have an upper hand with the dominating play from the midfield. 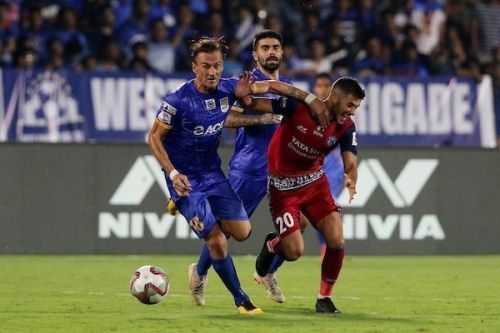 Mumbai City FC were unlucky as they failed to capitalise on the chances before Jamshedpur FC drove the final nail into the coffin in the dying minutes.